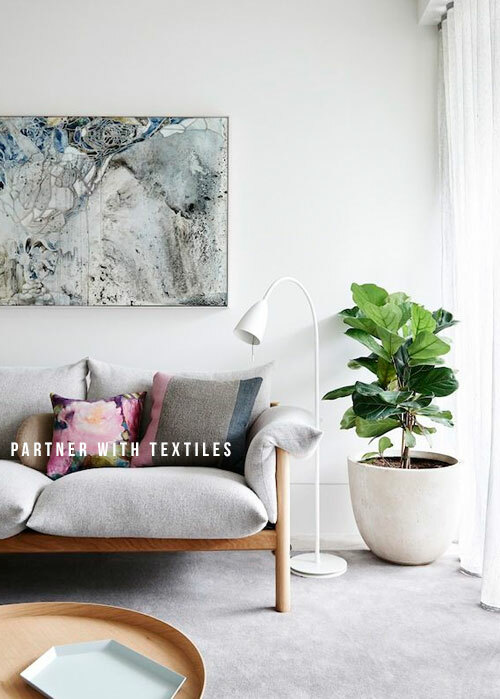 With the somewhat epic return of the houseplant to the forefront of style-loving homes across the globe, it's no surprise that many interiors stores are now showcasing some beautiful accessories to partner with these Co2-emitting additions. My aim today is to showcase some of the ways in which we can successfully showcase plants in our own homes, with maximum style impact. 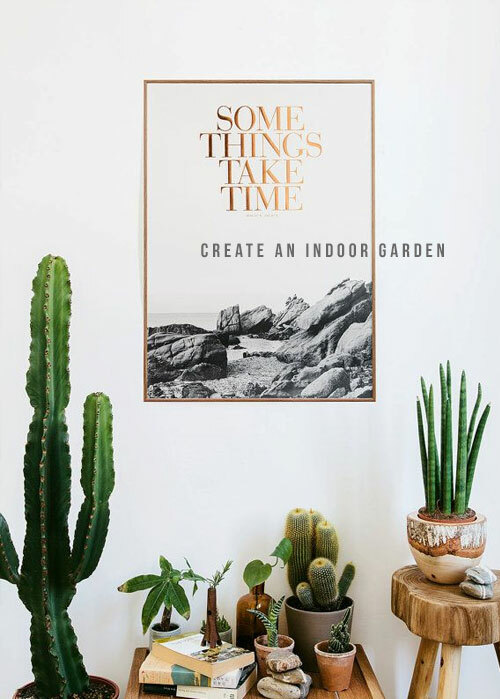 This green-fingered trend is currently led by Succulents, Cacti, Palms and Philodendron, to name but a few, and it's probably no coincidence that all of these are architectural in their form, with an emphasis on lush greens and an ability to throw a good shape, or two. Due to their incredible propensity to grow, even against the odds in some cases, I am a huge advocate of succulents. I prefer to buy the tiny 99 pence plant 'plug' versions because I find there's something quite therapeutic about nurturing and watching a tiny plant grow into something big and wonderful, and because my patience is a little limited, the extremely fast-growing nature of succulents suits me perfectly (see images 2 & 4 'above'). The beauty of most houseplants (with the exception of some larger species) is their portability. Like other interior accessories, they can be moved around to suit a particular scheme. Likewise, pots can be changed around to suit a particular colour palette, or to simply freshen up a room. For those of us with ample time to maintain indoor plants, clusters of pots make for a strong impact (as shown in image no. 3 'above'). When grouping plants together, aim to include contrasting shapes, heights and textured foliage to create interest and detail. My top tip for indoor gardening is to have fun with it - don't take it too seriously as most plants are pretty tough and will endure a little neglect from time to time (not that I recommend this), and play around with pots and accessories too. 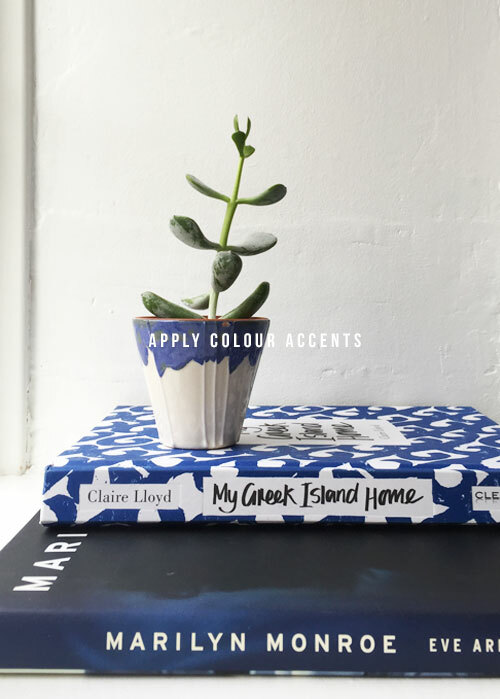 I love accenting with plant pots, and my blue office at home now has a stunning little glazed blue dip-effect pot from Anthroplogie (Image no. 2 'above') which teams up perfectly with some of my favourite books in the same colour. 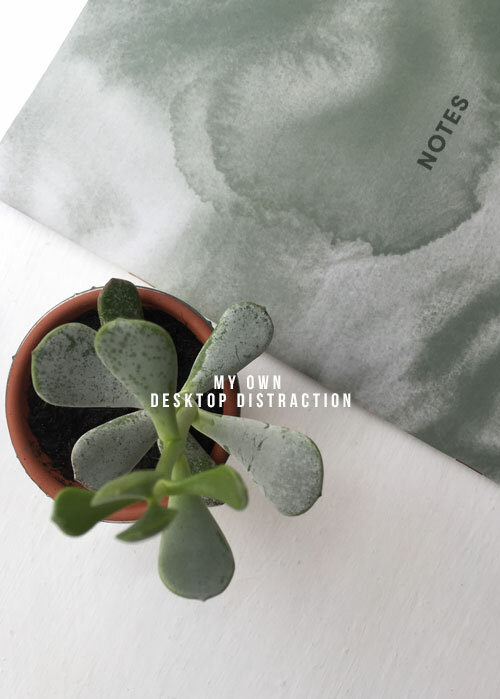 Also, having a living plant in my workspace adds an air of tranquility and 'realness' - just how I like it. 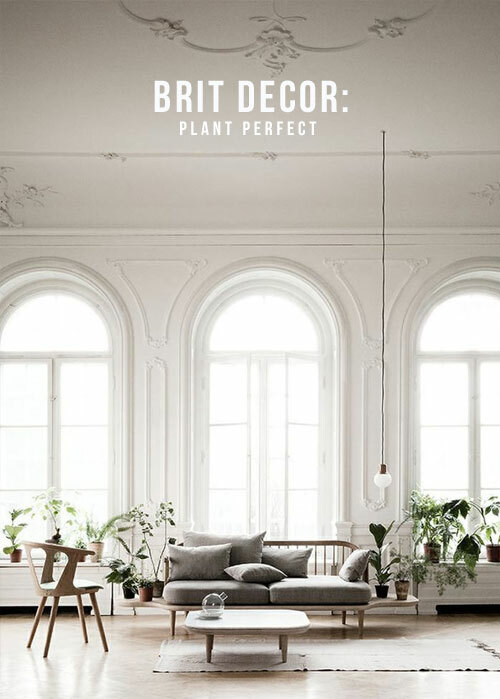 Another great way to include plants in your living scheme and save space too is to opt for hanging planters (image no. 5 'above'). 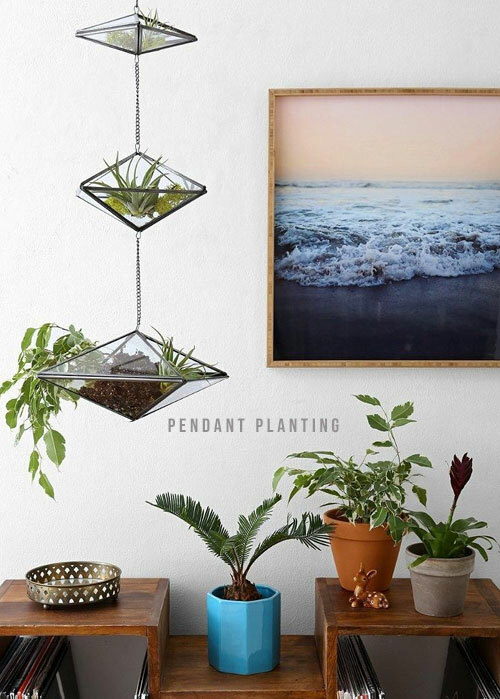 These look so elegant and create a pendant-effect, which can instantly breath life into a dull corner or serve as living wall-art. 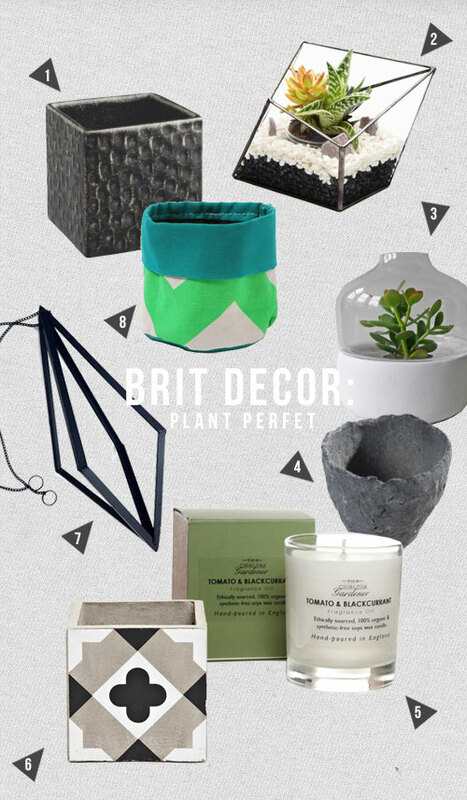 Check out some of my plant related 'picks' below to help you on your way to greener decor!